Call reScore Solutions (a Kirkpatrick & Associatescompany) if you have had a foreclosure and ready to purchase another home. We can advise you of your rights and help you rebuild your credit. If you have recently experienced a foreclosure or short sale, it is important to know the effects those events will have on your credit report and credit scores. You may be concerned about being able to qualify for another mortgage, car loan or even a credit card. Yes, you can #regain your credit status. This is where we can help you in rebuilding your credit and credit scores. Let’s take a look at some valuable information regarding your credit after a foreclosure. Even with this information, it can be confusing to how and when to rebuild. There are many loan and credit card companies that are ready to capitalize on your situation and charge exuberant fees and interest rates to “help” you rebuild. Here, at Kirkpatrick & Associates, we can help guide you through the process without you paying those loan sharks. 1. Question: I was told that I would not be able to have credit for 10 years after Bankruptcy and not sure how long after a foreclosure. Answer: A Bankruptcy can remain on your credit reports for up to 10 years, but you can rebuild your credit immediately after your Bankruptcy is dismissed. With re-established credit and credit scores, you can purchase a home after 2 years of Bankruptcy, that did not include a foreclosure and 3 years with a foreclosure. 2. Question: How will your FICO score consider a foreclosure? 3. Question: Are other options better for my credit standing? Rebuilding your credit without the high fees and interest rates. ReScore Solutions can assist in improving the worst credit scores and even improving healthy credit scores. Higher credit scores means paying less in interest rates. Lower credit scores will result in higher insurance premiums and higher interest rates. Have you ever been turned down for a loan or an apartment lease and wondered why? It could be due to your credit history. Let’s face it–our credit says a lot about who we are. It is our financial report card, and can affect many aspects of our lives. If you are experiencing being turned down and high interest rates call us today. 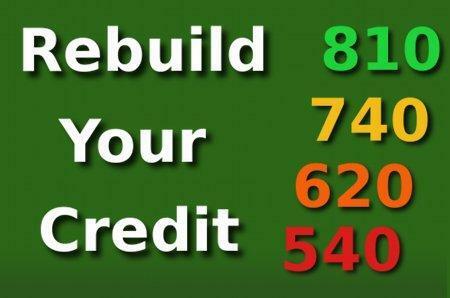 We can help you rebuild your credit and raise your credit scores. When you apply for credit (say a loan or a credit card), the lender has to decide if you are a good candidate for receiving the loan. The lender’s decision is based heavily on your credit history. They have to assess the level of risk involved if they are to extend credit to you. If you have displayed a poor repayment history, it is less likely that you will be approved for the loan or a line of credit. The data available through the credit reporting agency that’s been selected to calculate your score (Equifax, Experian or TransUnion) will determine that three-digit number, whether that data is right or wrong. That’s why it is so important to review your credit reports; at a minimum get your free credit reports from all three bureaus once a year look them over to determine if all of the accounts are yours, any late payments that aren’t accurate, liens or judgments that aren’t yours or updated as paid. One of my former clients did not realize that he had a judgment on his credit reports that was not his. Mr. Smith’s daughter had provided his name as an emergency contact for the apartment she ;had previously rented. She defaulted on the apartment rent and was sued and she paid the judgment through a payroll garnishment. Although this had been taken care of the apartment management placed the judgment on Mr. Smith’s credit reports. It was illegal and had affected his chances of getting a loan. We were able to take care of this and had it removed within 35 days or less. Since the three agencies don’t share information with each other, you’ll want to check all three. After all, you never know which reporting agency a lender will use to obtain your score, so you want all of them to be as accurate as possible. In an effort to obtain your credit score for free, you may have signed up with Credit Karma or Credit Sesame. But then you applied for a credit card or car loan and realized your FICO score was different than the free score. Why is this? Both Credit Karma and Credit Sesame calculate your credit score based on proprietary scores from two of the major credit reporting bureaus. However, this is not the same thing as a FICO score. Instead of using the FICO algorithm, the bureaus use their own algorithm for free scores. Your credit scores are determined by formulas that assess your creditworthiness. Lenders evaluate the risk of extending credit to you in part by using credit scores, which measures your credit risk — namely, how likely it is that you’ll pay them back and pay on time. Credit scores constantly adjust as the information in your credit report changes. You’ll benefit from knowing your Experian, Transunion, and Equifax credit scores and keeping track of changes and setbacks. 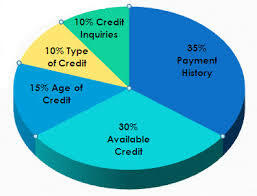 A credit score is an additional service that can be requested when getting your credit report. Along with your credit score you will know what factors influence your risk. Repair your credit reports and scores. We provide free credit report review.